There is a time for the whip and a time for the feather. This is, most definitely, a time for the whip! The ban on the use, manufacture and importation plastic bags used for commercial and household packaging in Kenya, though long overdue, is a plausible path towards environmental conservation. In most developing countries, plastic is one of the prevalent environmental pollutants. Consequently, if unbridled, the environment is infinitely ruined. Naked ambition and ruthless determination is important in ensuring the environment is protected for now and the future. There are arguments that plastic-making factories employ many people, and therefore the ban is an economic disappointment, and further, the government should employ people to collect and incinerate the plastic bags. These are arguments that simply suggest that the production and use of plastic bags should continue at the expense of the environment! The debate of balancing economic development and environment protection is one that has outlived its mortality. The Stockholm Conference on Environment and Human Settlement, held in Stockholm in 1972, was held against the background of this dialectical split. Subsequent to Stockholm in 1993, the UN established a Commission to examine the relationship between environment and development in an effort to link the dialectical split. Norwegian Prime Minister Gro Harlem Brundtland chaired the UN Commission on Environment and Development. The Commission produced its report in 1987 known as Our Common Future: The Report of the UN Commission on Environment and Development. One of the key concept of international environmental law, ubiquitous in the report, was the concept of sustainable development. The concept has been widely accepted to refer to as development, which meets the needs of the present generation without compromising the ability of the future generations to meet their own needs. The International Court of Justice (ICJ) in a case concerning Gabcikovo-Nagymaros project, between Hungary and Slovakia (ICJ Reports 1997), defined sustainable development as the need to reconcile development with protection of the environment. A polluted environment, for whatever reason, is not suitable for any life, present or future. Hence, in order to ensure intergenerational equity, every state should aim at providing a framework for the integration of environmental policies and development strategies. The ban of plastic bag is the right direction towards environmental conservation—it respects the concept of sustainable development. Plastic bags are inorganic products—they do not decompose. The lack of decomposition tampers with the soil profile, terrestrial and marine life. 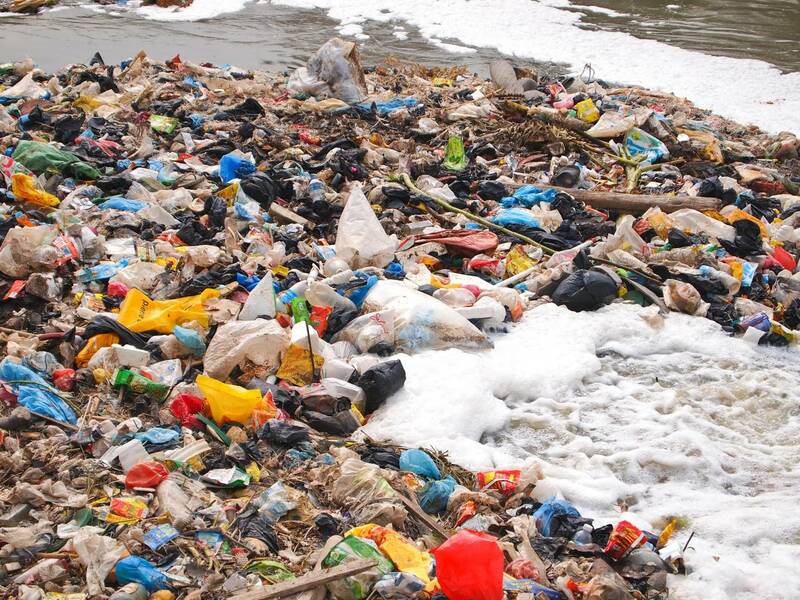 Although, reusable and recyclable still plastic bags pause an imminent danger to the ecosystem. In a country where waste disposal and management is a herculean task, the ban is the most reasonable approach towards environmental conservation. As a people, we should learn to sacrifice for the greater good. Development, though important, should be done in a manner that considers the environment and the future generation. Insistence of the use of plastic bags is a myopic agendum. The effects of plastic bags, not only its accumulation, but also the fragments and toxins released during photodecomposition that pollute soil and water, are fatally destructive. In years to come, the environment will be brutally polluted, making life on earth intolerably abject, if the current rate of pollution is not checked adequately and efficiently. Further, Kenya has international obligation towards environmental protection. Therefore, the ban is not only a mere initiative to protect her environment but also the commitment to fulfil international obligation in good faith. Being a contracting party in the Convention on Biological Diversity (1992), it is, in Article 6, required, in accordance with its particular conditions and capabilities to; (a) develop national strategies, plans or programmes for the conservation and sustainable use of biological diversity or adapt for this purpose existing strategies, plans or programmes and; (b) integrate, as far as possible and appropriate, the conservation and sustainable use of biological diversity into relevant sectorial or cross-sectorial plans, programmes and policies. Biological diversity means the variability among living organisms from all sources including, inter alia, terrestrial, marine and other aquatic ecosystems and the ecological complexes of which they are part: this includes diversity within species, between species and of ecosystems. In conclusion, the perception that the ban is an economic deterrent is flawed and lazy. Often, when one door of opportunity closes, another stands generously open. In six months’ time, there will be high demand for plastic bag equivalents, on utility levels. Therefore, entrepreneurs should start engaging their minds towards finding that environmental friendly plastic bag equivalent.